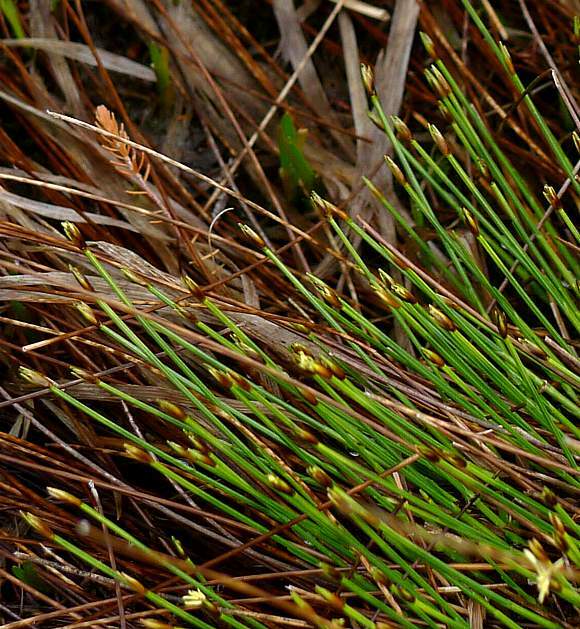 Grows in wetter places than the taller Deergrass (Trichophorum germanicum). 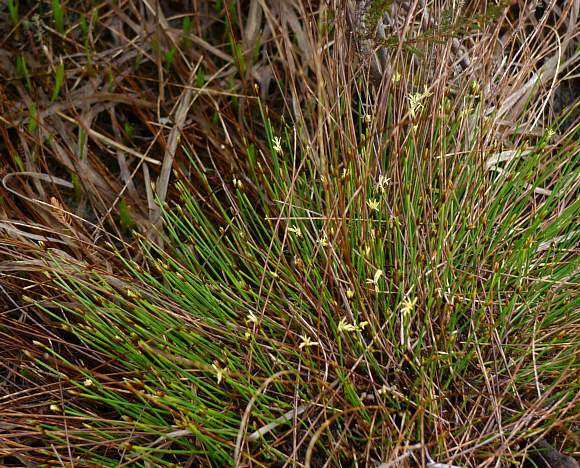 Un-branched, grows to 25cm (10 to 35cm shorter than Deergrass , but in similar places): bogs and wet moors, but not dry peat. Thinner than Deergrass , only 1mm thick rather than the 1.8-3mm of Deergrass . 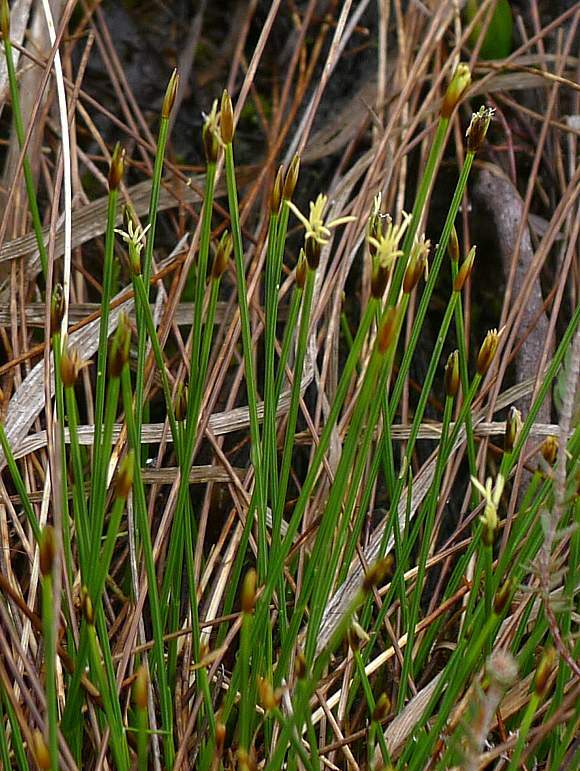 Has fewer flowers than Deergrass , normally 5, but 3-10 as opposed to 8-20 for Deergrass . 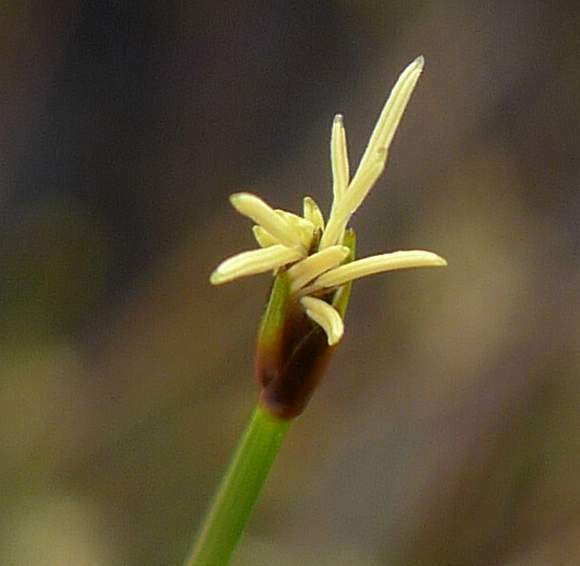 The few flowers on short, white stalks. Stems 3-sided, and 3-fluted. Glume the usual brown but with a green tip. Can be mis-identified as : Deergrass (Trichophorum germanicum but see captions above. 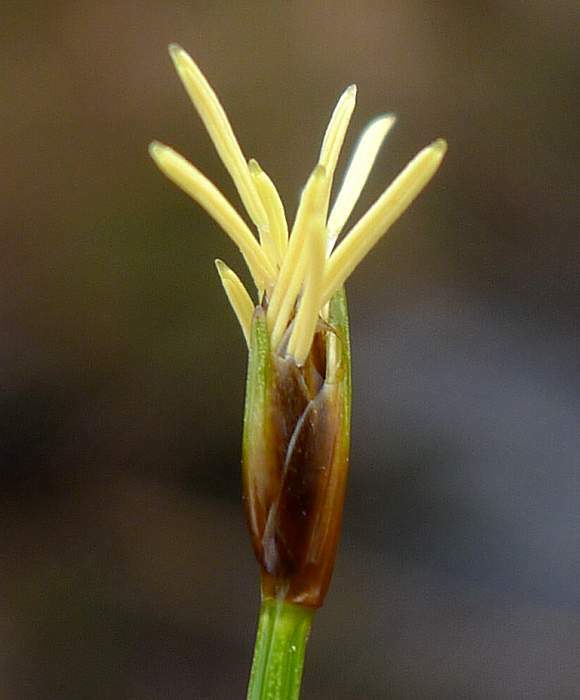 Hybridizes with : Deergrass (Trichophorum germanicum) to produce Trichophorum × foesteri which is more common than Northern Deergrass and has a similar distribution, but is sterile, with the flower spikelets falling early. Indeed, it is always possible that the above photos are of this sterile hybrid, since no wispy anthers can be espied in the photos. 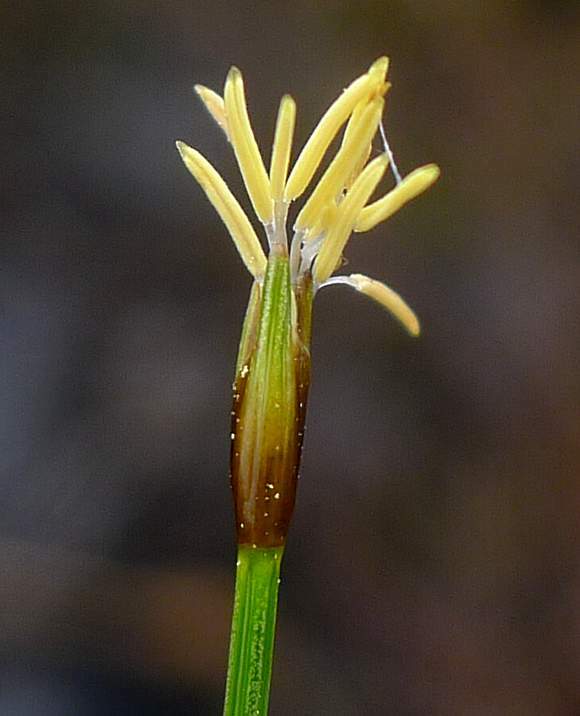 However, the leaf-blades can be found in the photos, and they are between 5-10 times longer than their opening (rather than the shorter 2.5-5 x longer of the hybrid), so these are indeed specimens of Northern Deergrass, and not the hybrid. Phew! 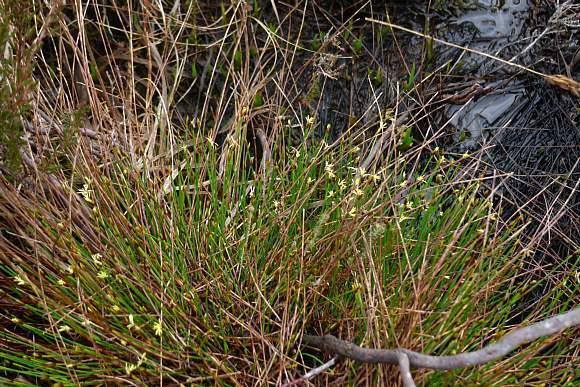 Grows in wetter places than the much taller more robust Deergrass (Trichophorum germanicum). On wet bogs, wet moors - acid lowlands or uplands, but not on dryish peat. Leaves are basal reddish-brown sheaths. Fruit a 3-sided nut. It is a very rare [RRR].